Physical Address: 12000 South Houghton Rd. Mailing Address: 12000 South Houghton Rd. 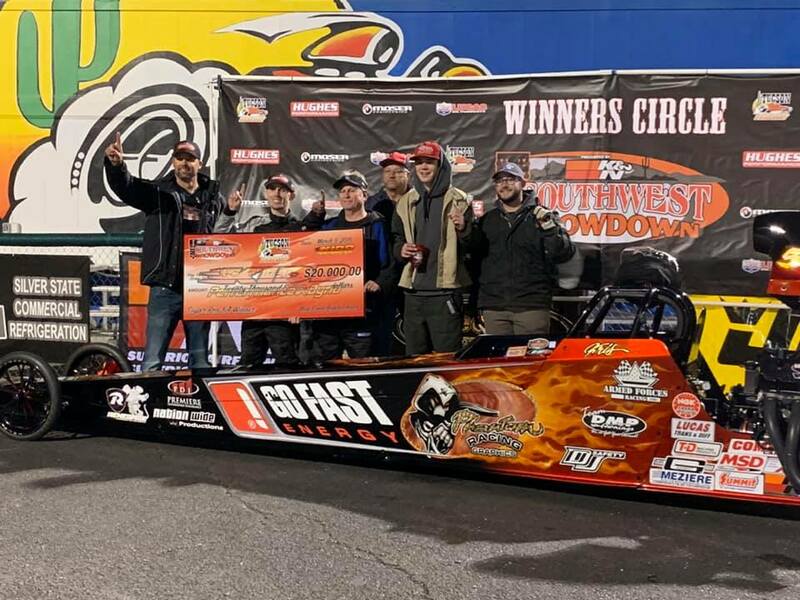 Tucson, AZ - Kris Whitfield made his way to Tucson Dragway with a few hiccups on the way, which were only a story of the past when he rolled into the Kidd Performance Super Pro 64-Car Bonus for $20,000. 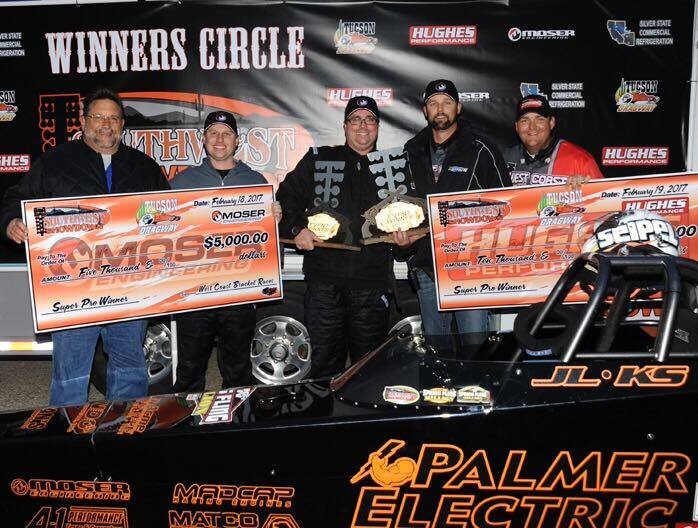 Pete Biondo takes 2 Big Checks back to the East Coast. 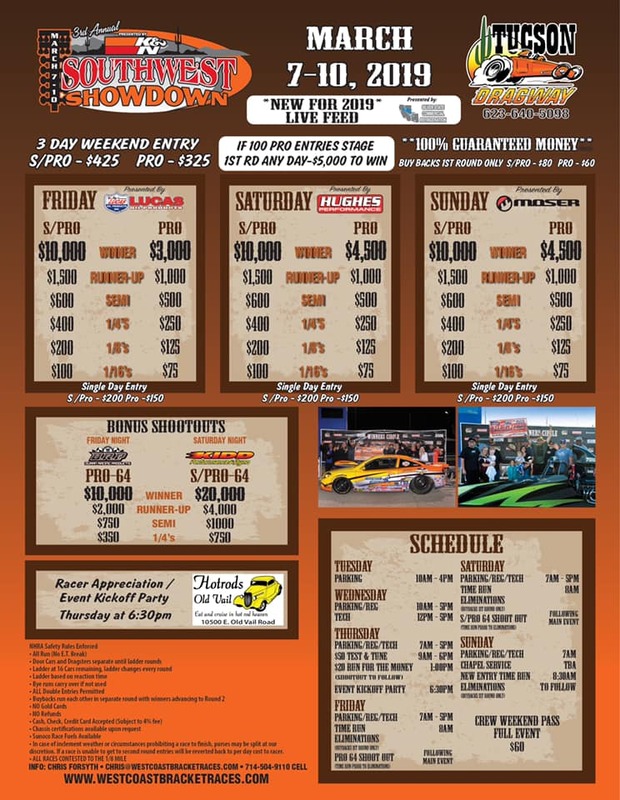 Tucson, AZ - Live Coverage from the K&N Filters Southwest Showdown goes live Thursday and continues thru the weekend at Tucson Dragway in Arizona. 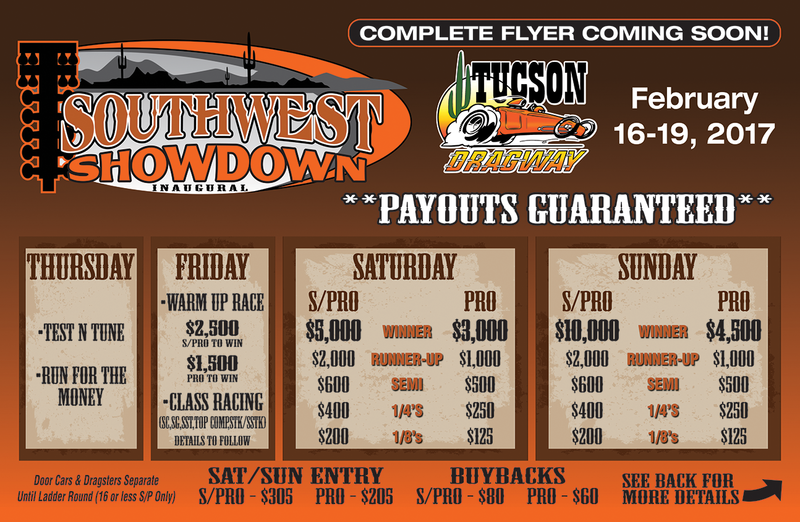 Tucson, AZ - With over $125,000 in Prize Money and Racer Appreciation Awards/Prizes posted, this was the largest single paying event in sportsman racing to be hosted in Arizona. 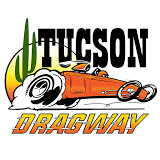 Tucson, AZ - Tucson Dragway owner Jim Hughes and West Coast Bracket Races owner/promotor Chris Forsyth pooled their efforts to provide racers with another opportunity to compete for guaranteed money and prizes. 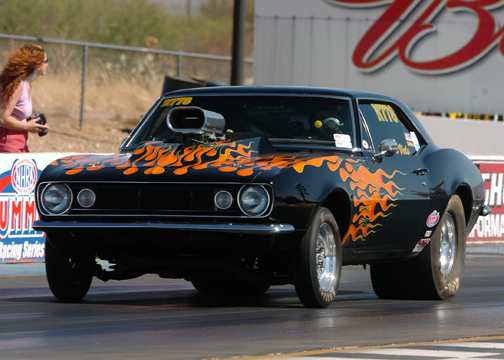 Tucson, AZ - Jim Hughes, of Phoenix, is the owner-operator of Tucson Dragway. Hughes has over 40 years of experience in the performance and racing industry and even spent time behind the wheel. He started racing in the 1970s and earned multiple victories across the country, including four division titles. Most notably, he raced to the NHRA Super Comp world championship title in 2002. Tucson, AZ - Winners in eleven classes made their way to the winner's circle today at Merle's SIR Dragway and the NHRA Pacific division Lucas Oil Drag Racing Series. Each winner pocketed their share of the event purse and contingency postings along with the coveted NHRA "Wally" trophy. 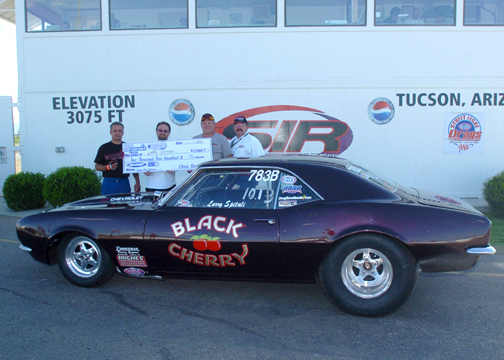 Tucson, AZ - Larry Spitali from Glendale Arizona drove his famed "Black Cherry" Camaro to a final round win over Luke Bogacki from Woodville Alabama in BTE S/Pro Sunday. Tucson, AZ - Chris Vels from San Diego California drove his Camaro to two wins this past weekend to take over the Championship Points lead. Tucson, AZ - Mark Niver loves Southwestern International Raceway picking up his second win here this weekend at the NHRA Lucas Oil Drag Racing Series presented by Budweiser. Tucson, AZ - Southwestern International Raceway is proud to announce Mike Nervik as Track Manager!